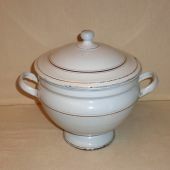 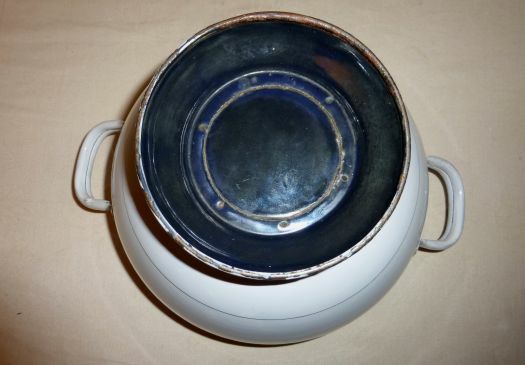 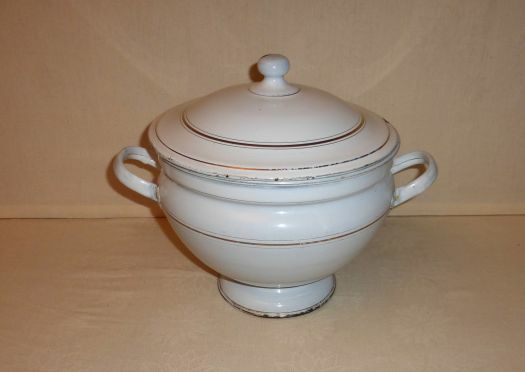 Rare enameled soup-tureen, with an elegant shape and in good condition ! 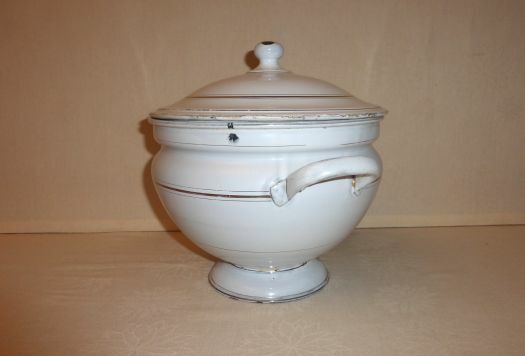 There are not many chips, you can see them on the pictures, and the soup-tureen can be used, it is in good condition inside too, this is very rare ! 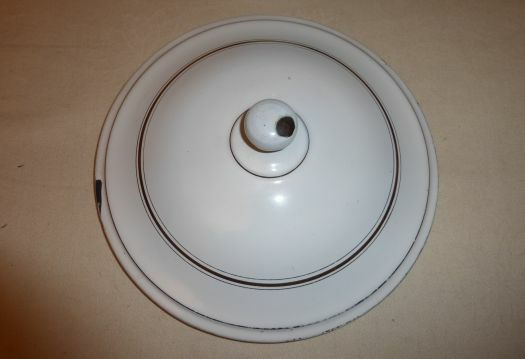 Total height 28,5 cm ; diameter at the top outside 25,7 cm.